The sun began to set from behind the huge castle which lie in the heart of Amalthea. The sky began to turn an orange, pink, light blue color. The ground began to darken because of shadows. "Alright, I'll have a try at this just one more time." Emilie flipped her blonde hair, then drew back her arrow, and focused on the red dot in the middle of the target. The whole world seemed to go still for her as she released. She held her breath, and.. the arrow land half a centimeter from the bulls eye. "Dang it." She stamped a hoof, and collected the arrows she'd released. 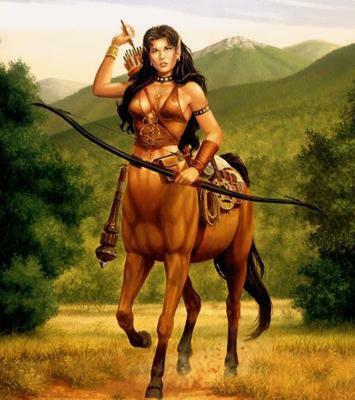 She was a Centaur in 17 years of age. Her coat color was sorrel, and she had dark hooves. Her hair was a beautiful curly blonde, and she had light green eyes. She was stubborn, and if she set her mind on anything, it was almost impossible to pry her off of it. She was a work in progress with her archery. That was a specialty in all Centaurs, but it was taking her a while to develop that. 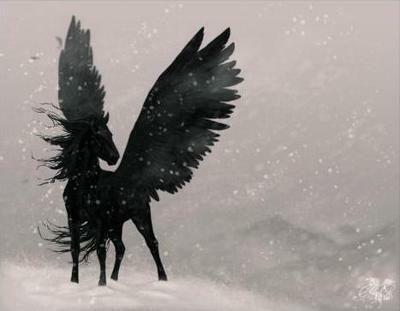 Her mother was a beautiful Centaur who was white in color on her horse half, and had curly black hair with icy blue eyes. Her mother was calm and quiet, and very chiseled out. As for Emilie's father, she never had met him. 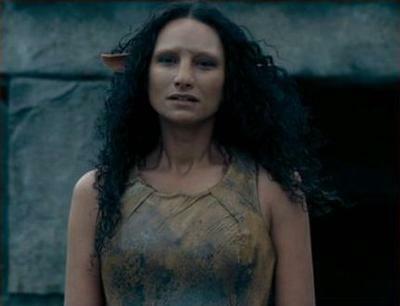 She was told he was killed in a war against Amalthea and Mordor, the Dark Lord, but she wasn't sure if she was being told the truth. She sighed, and flipped her hair again. She looked up for a moment, before trotting back to the Amalthea castle for a rest until morning. She was greeted by the guards, who would stand there all day and at 12:00, they would bring up the drawbridge where no henchman of Mordor could sneak in. Emilie waved to them, and trotted over the drawbridge, the steady sound of clopping on wood was peaceful to her. She slowly stepped into the castle to behold it. Even the interior was beautiful. Strips of ivy wrapped around every column entering every room. No matter how long she resided here, no matter how many times she saw it, she would never get over its beauty. She sighed dreamily, and before she went to pick some things from the Amalthea Garden, she looked at herself in a large mirror, and smiled. Human and horses were mysteries to her, but seeing them combined was shocking. She looked at herself a last time before opening the doors to the beautiful, royal Amalthea Garden. After visiting the Amalthea garden, picking a few things and stuffing them in her satchel, Emilie looked up to see the steps that led to the watchtower. She smiled to herself, and began trotting up the steps. She heard one of her arrows fall. She switched her tail, and bent down on her knees to pick it up before it fell further. As she caught it and looked up, she was greeted by a set of hooves. 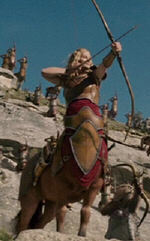 She raised her gaze to see Orieus, the wisest and strongest of all her kind, the leader of the Centaur army. She stuffed her arrow in the pouch on her back, and quickly rose to her feet. "Hello! Er, Sir." She waved a small wave, then looked down at her hooves. She had never spoken to someone so highly respected. Orieus smiled down at her. "And where are you headed, young one?" Emilie gathered herself together, and managed to look up and utter a few words. "To-to the watchtower. Sir." Then she looked down at her hooves again. She couldn't bring herself to look him in the eye. 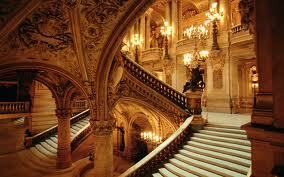 She heard him chuckle, and he stepped out of her way, and gestured up the steps. "Madam." She finally looked him in the eye, and smiled at him. She continued her way up the steps. It was a long way, and just after she thought she was going to collapse she finally made it. 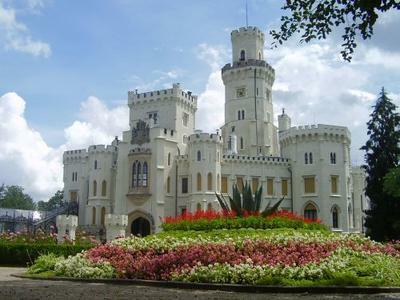 She opened the doors to the watchtower, also called the High Balcony, and looked over the valley from the Kingdom. She propped her chin on her hand and let out a sigh. In the Archery Grounds, the High Queen and Princess, who were sisters, were laughing and challenging each other in archery. 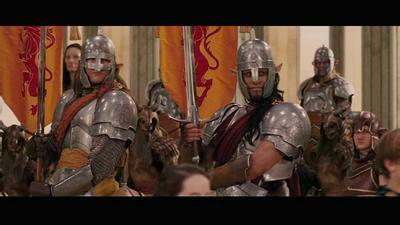 Over in the Meadows, the High King and Prince, who were brothers, cantered their Royal Horses. The High King rode a Pegasus called Aries. The High Prince was mounted upon a talking Friesian named Phillip. Not many horses around had the ability to talk, but in Amalthea, it was possible. She let out another heavenly sigh, and watched as the sun set, and soon, the land of Amalthea went quiet. The next day, Emilie was woke up by Royal, the Princess's kitten. With a yawn, she leaned up on her elbow to see him sleeping on her side. She giggled, and didn't want to move, but she had to get up eventually. She picked him up, and set him beside her, enough out of the way where he could avoid her hooves. With a low grunt, she rose to her feet, and brushed off her armor. She didn't get why but all of her kind wore armor almost 24/7. At least get let them get into something more comfortable. Yawning, she stepped out of the Centaur sleeping quarters, and looked around. The castle was quite sleepy. It was still early in the morning. Stretching, she trotted across the drawbridge, later breaking to a canter to wake up a bit. She took a sharp turn to the forest, and made it to a clearing where about six targets stood. She removed her bow from her back, and knocked an arrow. Pulling the arrow back, she focused, inhaled, exhaled, anddd... let it fly. It landed half a centimeter from the bullseye. A second after, another arrow landed right beside hers. She spun on her heels to see Rainstone lowering his bow. Rainstone was a male Centaur that was about a year older than Emilie. He was a good shot with an arrow, but was even better at handling a sword. He had sparkling dark blue eyes, and long dark-colored hair that fell a bit past his shoulder blades. He was also quite tall, and his coat color was a blood bay. And he had the ability to sneak around without being heard at all. "Greetings, Rainstone." Emilie said, kind of suspiciously. She knew nothing was up with him but she always did that. With a chuckle, he looked towards her. "Greetings, Emilie. How may you be on this fine day?" He replied, with that dashing smile she always liked. She shrugged it off, and looked back at him. "Quite lovely. How about you, my good sir?" She walked circles around him, looking over him good, as if she had forgotten completely what he looked like even though it had only been a day or two. "Quite lovely, myself." He watched her closely, as if she were going to tackle him or something. "That's good to hear." She continued her walking around him, but refused to make eye contact. He decided to break the silence a moment later. "Say, do you know how to handle a sword?" Here you go ^-^ I heard drama came in when you added guys into a story so I did. Hope ya like. 'Twas only a moment later that Emilie's archery things were laying underneath a tree, and she held a sword, Rainstone by her side. "Alright.." He took her hand, and raised it. "Now then." He moved her hand a bit to where she was holding it a certain way. "There ya go." Emilie straightened up, shuffling her hooves underneath her a bit. It was a bit heavy, but she didn't want to act like it was too much. She cast a glance at Rain, who gave her a thumbs up. She grinned, and looked ahead again. "Now then. You're holding it the right way.. try... uhm.. twirling it." Rain suggested. Emilie bit her lip a few times, looking at Rain then back at the sword, but finally lowered it to her side. She remembered how she twirled her arrows when she was bored, so why not do the same with a sword? She straightened up again, before giving her attempt to twirl it, moving her hand and fingers in a circular motion. To her great surprise, it actually worked. She laughed a bit, glancing at Rain. He nodded his approval. "Good, good." He had backed up a few steps and she hadn't even noticed it. He walked by her side again. She halted her twirling. "Try.. swinging it." Rain said, with a nod. "Alright.." Emilie replied, attempting to hide her nervousness. She twirled it a few more times, and was about to swing it when Rain stopped her. "When you want to swing it, grab it with both hands, yeah?" He pointed out. Emilie nodded, looking back at him, then ahead again. She grabbed it with both hands, raised it a bit, and swung it to the side. She didn't know why but she closed her eyes tight, biting her lip. She opened an eye when she heard a loud cracking noise, to see she had chopped the branch off a tree. Rain chuckled a bit. "I'm impressed. You're a natural at handling a sword, I do believe, m' lady." Emilie smiled wide, first off because she had been praised and second off because he called her 'm' lady.' Like she was highly respected or something. She was almost too caught up in her pride, and nearly forgot that it was his sword. ".. oh!" She giggled a little, and handed it back to Rain. He returned the laugh, and twirled it a few times before sheathing it on his side. ".. you know, I could still use a few lessons." Emilie pointed out, glancing at him. He chuckled again. "Of course. But first, let us head back to the castle." **NOTE** So. 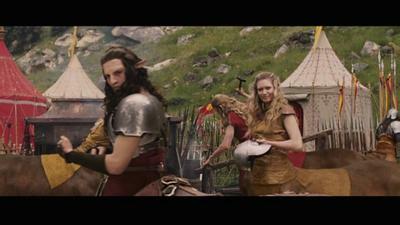 I've found a few Narnia movie pictures and downloaded them as pictures for some characters I've mentioned. We have Emilie, Rainstone, (who made his grand entrance in Chap. 3) General Oreius, (who I mentioned in Chap. 2) and Windmane, Emilie's mother. (who I mentioned in Chap. 1) They're all just movie pictures. :D Hope you like this chapter. The rest of the day was pretty much hanging out in the castle, grabbing a bite to eat and having a nice chat with the other creatures of Amalthea. Such as Fauns, Satyrs, of course, Centaurs, Talking Animals, Dwarves, and oh, so many more. Emilie enjoyed a nice talk with all of them. "Goodness me, what a long day." She said, with a yawn, walking to the sleeping quarters with Rainstone. "Quite." He replied, nodding his agreement. "But how I did enjoy it. Started it off with teaching yet another how to handle a blade, and ended it with having a nice chat with general Oreius and his wife." He smiled that dashing one that Emilie secretly liked. Again. She swore he was doing that on purpose. "How are they doing?" She asked, glancing at him. It was always good to know how their own general was doing, of course. "Oh, they're doing great. And, even more exciting, they're expecting a foal quite soon." He looked at her, grinning brightly. "Ooh, yay!" She returned the bright grin, and leaped a little. "There's nothing I love more." She got dreamy-eyed. Rain laughed a little. "They are cute." He looked ahead again. "Well, I guess I'd best be getting some sleep." He came to a halt in the middle of the sleeping quarters. "Me too." She replied, with a giggle. "Well, night." Rain kissed her hand delicately, making her blush, before backing into his assigned sleeping spot. Emilie walked on until she came to hers a few spots down, and backed into it. She yawned, before laying down, her legs tucked underneath her neatly. She didn't fall asleep first thing. She laid there and thought for a long while. She processed everything that had been going on. She was taught to handle a sword, she had a real talk with Rain, there would soon be a new addition to the kingdom, so much to take in. She rolled over on her back, on her side, back to her legs tucked underneath her, and so many others before she finally got comfortable. She thought about things for a little while longer, before slowly dozing off. She was quite at peace until she heard a stirring, and constant movement. She opened an eye, and looked around, flicking her ears in every direction. It seemed to be coming from outside. She frowned, flicking her ears still, to see what she could pick up. It eventually stopped, and she relaxed again, before falling asleep, finally. Emilie woke up to the sounds of panicking people outside the castle. There was shouts and hoofbeats and she swore she heard daggers being thrown. It sounded like a protest out there. Emilie immediately leaped to her feet, and looked around. She and two other females were the only ones that weren't outside in the fight. She shot them looks, and they replied with shrugs. They must have just woke up, like her. She let out an anxious sigh before trotting from the sleeping quarters to the main room. Empty. Of course. Emilie looked around before quickly making her way across the drawbridge, where she bumped into a Faun who was in the process of shouting his anger. There were the ones who were quiet, the ones who just looked plain upset, and then there were the ones that were shouting at the top of their lungs and throwing daggers. Emilie found Rain among the shouting, her mother among the upset, and general Oreius and his wife among the quiet. All of the kingdom had gathered out there in the courtyard, so it was very loud. Emilie, at the moment, couldn't be more confused. She pushed past all the Fauns and Satyrs and Dryads and Naiads and Centaurs and everything else there to get to Rain, and grabbed him by the ear before forcefully dragging him away. "Ow, ow, ow, ow.." "Oh, hush it." She came to a halt at the drawbridge, and let go there. "Now, stop your shouting for a moment and.. please, do tell me what's going on." She raised an eyebrow, and waited for him to explain. Rain stuttered and stammered for about a minute before finally spitting it out. "The Royal Treasury that belongs to our Rulers and our Rulers only has been stolen by, what we suspect, our enemies." Rain crossed his arms over his broad chest, obviously not very happy with the whole situation. Emilie sat there gaping for a moment. "But.. but doesn't that mean.. there.. there will be a war?" She managed to stammer. Rain gave a simple shrug. "No one knows quite yet. The last thing we need is a war." He growled the last part under his breath, turning away to look back at the crowd. Emilie glanced at Rain, the crowd, then their High King, who stood at the front, obviously stressed. ".. and the last thing we need is a war." Emilie ranted to her best friend, Alambil. She had paced a circle in the clearing where they stood, obviously not very impressed with the whole thing. Alambil, who always thought positive, tried to lighten Emilie's mood. "Oh, come on, who said there was gonna be a war? There shouldn't be, we could just walk on up there with our army and have a little conversation with the enemy. Absolutely nothing to worry about." Emilie continued to think otherwise. Drama, drama, drama, drama. :D Hope you guys like this chapter.